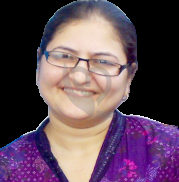 Dr. Swati Gupta, MBBS, MD(Paediatrics), is a Consultant Paediatrician at Fortis Hospital, Mohali. Prior to joining Fotis Hospital, she was associated with Chaitanya Hospital, Panchkula as a Junior Consultant and Saket Hospital, Ambala as Consultant. Besides, she was a senior registrar at Beas Hospital, Beas (Asr). After completing her basic medical studies(MBBS), Dr. Gupta went on to accomplish her specialisation in Paediatrics. She is a Gold Medalist in MD Pediatrics and was a savior from her student life itself. She was the first one there to conduct successful peritoneal dialysis in newborn and also saved one child with severe penicillin induced anaphylaxis. She has also gained expertise in management of paediatric cardiac surgical patients in intensive care under the expert guidance of Dr.T.S.Mahant and Dr.Sanjay Bhlerao. Counseling and management of both paediatric as well as newborn patients. Dr. Gupta has worked for many community projects like Pulse Polio immunization, School Health Programme, IMNCI, Flood relief camps, Cholera & Malaria Epidemic Relief Camps. She had played a major role as a part of the team, in fruitful survival of the lowest weight baby in India who was of 450gm. Besides, she is a member of various professional associations. A keen academician, she has contributed numerous research papers in many national and international journals.